"More modestly, [this book] will give you the courage to say what you think and to ask for what you want and, if what you want is obtainable, it will give you the best chance of obtaining it quickly." Talk Lean is based on a training approach created by Philippe de Lapoyade, who through his company Interactifs, has taught communication techniques for 25 years to companies all over the globe. 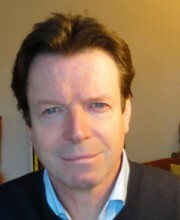 The author, Alan Palmer, runs these seminars in Europe and was permissioned by Philippe to produce a written version of the methods presented at the seminars. Talk Lean: Shorter Meetings. Quicker Results. Better Relations, by Alan Palmer, provides a valuable framework for improving the results you want from your conversations and meetings. The principles and skills Palmer describes are a refreshing antidote to the struggles people experience when planning difficult conversations. The author provides numerous examples, revealing clearer and more concise ways of getting your point across, including some that would be considered difficult or at least mildly uncomfortable such as asking your boss for a raise. Many of the methods or principles discussed focus on putting the listener in a proper frame of mind to listen and therefore be more receptive to your ideas. Its aim is to increase trust and transparency in all your communications. A good place to start is by figuring out and declaring the purpose of your conversation or meeting. "When you announce an objective at the beginning of your meeting, you’re being very clear about what you want to happen at the end of the meeting." It’s surprising how many people plan a meeting or conversation without stating a clear outcome or goal of what they expect to happen at the end of the interaction. This happens because people are either afraid or uncomfortable to say what they’re actually thinking. If you’re thinking of something, say so. It adds value to the relationship and increases confidence in what you say. When you state your intentions at the beginning, you are being open and candid about what you want. Be direct and open about your intention. This sets the stage for increasing transparency and building trust with the other person (or people). A valid objective involves “what you want the other person (or people) to do or say or think at the end of the meeting, or what you want the two (or more) of you to have produced together at the end of the meeting.” It must be something that is achievable from all interested parties involved. So, you’ve declared what you’d like to achieve from your interaction. Now, how do you increase your odds of getting it? "It’s always more powerful and better for the relationship to personalize the statement, to favor the first person over the second or the third." When people have something difficult to say or are just uncomfortable being direct with someone, they hide behind meaningless impersonal phrases and indirectly try to communicate their point. They bury their true intentions to soften the blow and secretly hope the other person picks up on their subtle hints. A better and more effective method would be to personalize your message using “I”. Consider the author’s example, “I really want to work with you” versus “We’re hoping we can possibly reach a mutually beneficial agreement.” The first statement is much more powerful and direct. Or instead of saying “We’ll think about it”, perhaps saying “I’m not interested” would work better. The author also believes that you should “express yourself one idea at a time and then ask the other person what they think of what you’ve just said.” This gives the listener time to actually ponder what was said so you can address any concerns they may have. This increases your credibility and trust with the listener. "Listening, despite appearing deceptively easy, is difficult to do effectively because our emotions distort our view of what was actually said and because we’re already busy analyzing and formulating responses whilst the other person is still speaking." In today’s hyper-connected and information overloaded world, listening is a forgotten and underappreciated skill. We want 30 second sound bites and headline summaries of what’s happening. But how can you adequately address what someone’s concerns are if you don’t invest the time to listen? Palmer’s suggestion is to take notes by trying to capture the speaker’s exact words. He calls it rigorous listening and asserts that it helps to enhance understanding of what was actually said. Only once you understand what was said, can you adequately respond. The author also recommends paying attention to body language and gestures used by the person doing the talking. Is it consistent with the message? Palmer believes that “Your body will always unconsciously be providing indications about what you’re really thinking or feeling.” Words combined with gestures increase impact.